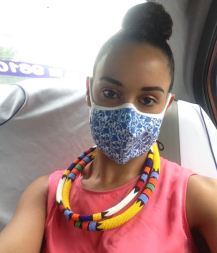 Before I arrived in Beijing, many friends warned me about one major issue: air pollution. They – and articles such as this in the UK’s Guardian newspaper – warned me so much that I had this idea that once I moved to Beijing I would need to wear a mask every day. Now, there are some people who are very sensitive to air pollution, and indeed, the World Health Organization (WHO) suggests that any levels of one particular pollutant PM2.5 is bad for health. Nevertheless, most people I meet in Beijing check the air quality index each day, and have a particular threshold below which they will not wear a mask. On such days the sky is often clear and blue, and it seems it will be increasingly so. According to an issue brief we at UNDP China released to mark this year’s Earth Day, and a report released a few days ago by greenpeace, although Beijing still ranks within the top five worst polluted provinces in China, in the first quarter of 2015 its PM2.5 concentration improved more than 13% compared to the same period in 2014. A good part of this is due to action by the Chinese government to shut down coal-fired power stations nearby and all over the country, replacing them with cleaner sources of energy, in particular gas. China has also announced new renewable energy targets for 2030 which will also make a major difference to air quality as well as help tackle climate change. Conducting this “war on pollution”, as the Chinese goverment has termed it, will be critical for throughout the country, not just in Beijing. According to estimates by organizations such as the OECD, air pollution in China creates major losses to both human life and GDP. But what also struck me about the new UNDP China issue brief is the fact that China is not the worst place for air pollution by any means. For instance, despite all the headlines, if you look closely at the WHO database on pollution in cities, based on 2010 data Beijing ranked 78th in terms of PM2.5, behind cities in Pakistan, Bangladesh, India and Mongolia! Indeed, it was when watching the highly informative and well-produced “Under the Dome” documentary (which went viral then was removed from Chinese websites) that I realized many other countries outside of China are already or about to face some major problems with regard to air pollution. For instance, I often see pretty pictures of the city I was born in, Nairobi, covered in “fog”, but having been in Beijing I am now starting to wonder whether that is not actually pollution. It’s difficult to tell, especially as Nairobi is one of those many cities that do not yet monitor air pollution levels and therefore have no data in the WHO database for me to check. But monitoring at the very least is going to be more and more necessary for cities in developing countries like Kenya. This is not only because they have their own growth trends to deal with, for instance increasing car ownership and emissions, but also because many of these countries are likely to house much of China’s cheap manufacturing industry and jobs. China is shifting from being a manufacturing to a service and innovation based economy, which will bring benefits as well as challenges for the countries that replace China as the manufacturing powerhouse of the world. What China does to monitor and tackle air pollution is therefore not just important here in Beijing but critical for others. This is why we at UNDP China welcome annoucements by the government that, for instance, the Asian Infrastructure Investment Bank will promote “lean, clean and green” investment in the region, and hope this kind of finance will be provided for other regions like Africa as well. It is also why we are doing out own bit to complement this, by for instance hosting webinars last month for Indian officials to learn about China’s new green policies, in partnership with a key Indian think-tank. Breathing without a mask in Beijing and China is great progress, but breathing without a mask globally will be even better.